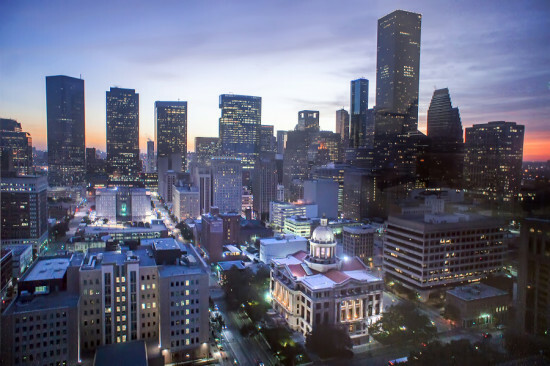 Two projects—one under construction and the other scheduled to start at the beginning of 2017—continue the trend of repurposing old buildings in downtown Houston. 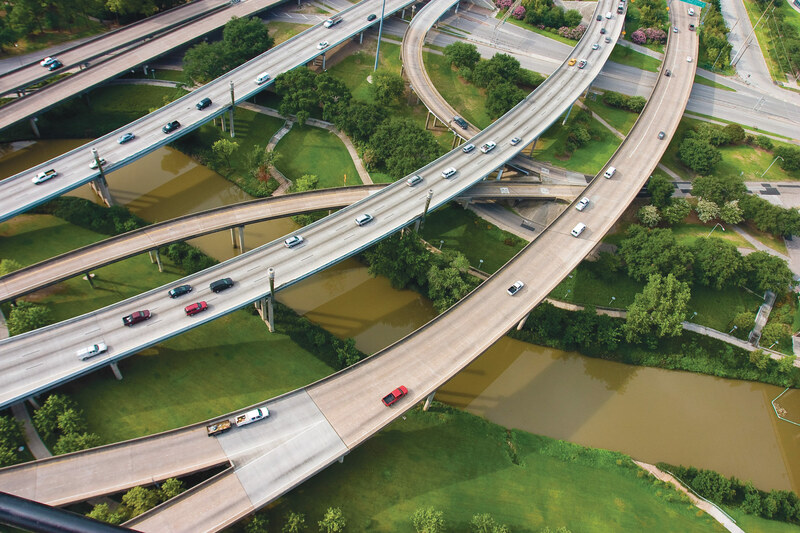 This movement began in the 1970s and accelerated in the mid-1990s when the city created a tax increment reinvestment zone for downtown coupled with tax breaks as incentives. 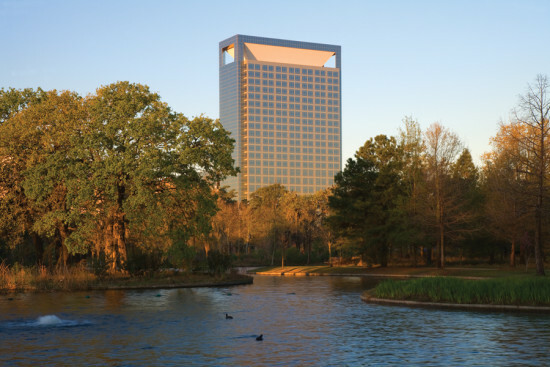 The 21-story Melrose Building (1952), originally designed by Lloyd & Morgan and the first modern skyscraper to be built in Houston, features horizontal bands of windows shaded by cast-in-place concrete brise-soleils. After languishing empty since 1991, it is now being converted into a Le Meridien hotel by the Beck Group, a Dallas-based construction and architecture firm for the Memphis, Tennessee, Development Services Group, Inc.
Assistance in funding the $80 million project came from a mixture of sources, including: $15 million from the federal EB-5 Immigrant Investor Program, which allows foreign nationals to essentially “buy” green cards by investing in job-creating businesses in the United States; the Federal Historic Preservation Tax Incentive Program, which provides tax credits equal to 20 percent of the income tax owed on qualified rehabilitation expenditures; and the Texas Historic Preservation Tax Credit Program, which gives credits equal to 25 percent of eligible rehabilitation costs. Key requirements of these credit programs are: The building must be listed on the National Register of Historic Places or a Recorded Texas Historic Landmark (the Melrose Building was entered in the National Register of Historic Places in September 2014), and the proposed remodeling work must follow the guidance of the Texas Historical Commission and the National Park Service. The exterior elevations will be restored to their original appearance. When the building was first completed, the spandrels below the clear vision glass were clad with turquoise tiles. In 1969, Lloyd & Morgan, who were commissioned to modernize its then 16-year-old building, proposed a modest update that entailed covering the tiles with bronze anodized aluminum panels and replacing the clear glass with bronze-tinted glass. These exterior changes are currently being reversed in the name of authenticity—that is to say, to erase the marks of time on the building and return it to a supposedly pristine state. The second project is the conversion of the Houston Bar Building into an AC Hotel. This building, currently sheathed in dark-tinted glass and a granite panel curtain wall, is actually two adjacent 10-story buildings, the M.E. Foster Building (1914) and the Gulf Building (1916), both designed by architect Alfred C. Finn. In 1966, architect Eugene William Slater was tasked with the unenviable job of modernizing them to keep them competitive for leasing. Slater stripped historical ornament off the exterior and interior of both buildings and sheathed them with a bronze-colored, reflective glass curtain wall. Inside he covered the elevator lobbies’ walls with panels of smooth, polished marble. 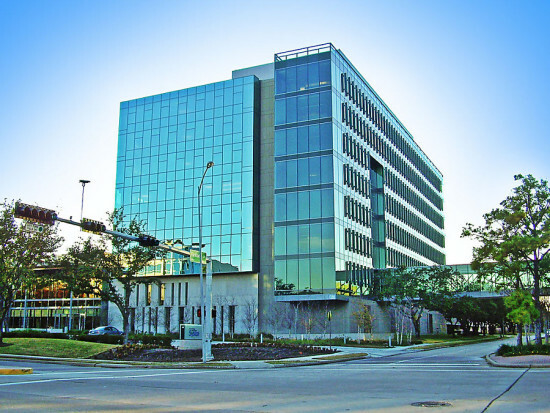 The unified building was then renamed the Houston Bar Center in an effort to appeal to downtown lawyers. 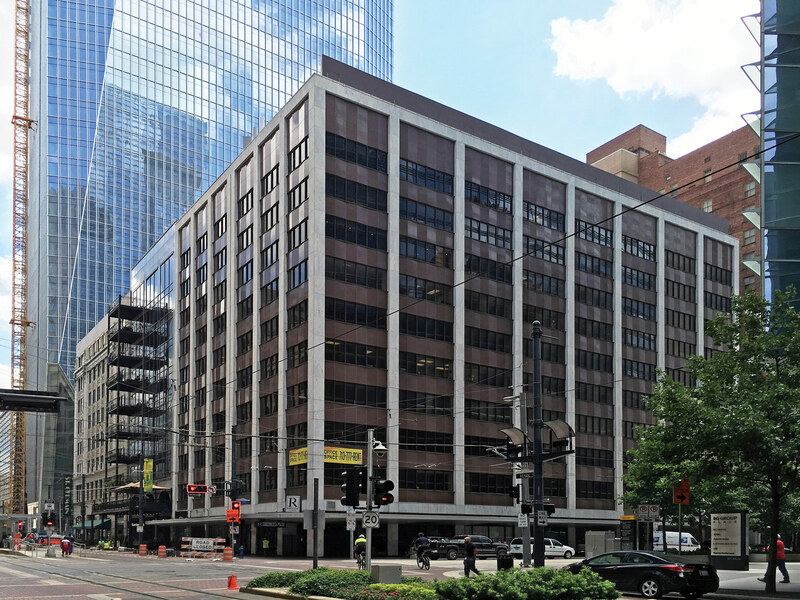 Although the Bar Center was never abandoned, it was looking tired, especially considering the new construction activity around it in the last few years, and was ripe for its second redevelopment, this time at the hands of Dallas-based hotel management firm NewcrestImage. The $44 million project is also in part supported by tax incentives. The Downtown Redevelopment Authority, which controls expenditures from the Downtown TIRZ, provided an economic development grant of 50 percent of the tax increment generated by the project site for the first 10 years, equivalent to approximately $1.2 million. Additional state and federal tax breaks are pending the building’s entry into the National Register, which is currently in process. These two projects demonstrate the nimble maneuvers that developers and preservationists increasingly have to make as they knit together institutionalized funding incentives and a growing awareness of the importance of historical architecture—even in a city as notoriously anti-historical as Houston. Taryn Kinney and Michael Morrow’s eponymous architectural practice, kinneymorrow, is one of several small, reasonably new studios that should gain enough momentum to redefine the staid Houston architectural scene in coming years. What sets this cohort apart from its peers is the intellectual rigor of its design methodology. Rather than slapping together a collage of materials and boxy shapes—the kind that typically passes for modern architecture in the Houston market—kinneymorrow’s designs arise out of a careful analysis of the program. These initial studies almost intuitively take the form of a diagram, with shades of the Beaux Arts era esquisse, a rapidly drawn sketch containing the big idea (or ideas) that guides the project to completion. Coupled with this is an unusually pronounced contextual sensitivity that is all the more remarkable considering that Houston, table-flat and sprawling messily over the Gulf Coast plain, is by no means considered a city where architecture has served its traditional role of spatially defining the urban environment or of even making a mark on public consciousness. These two tendencies produce thoughtful, modest, and witty projects that—despite their oft-diminutive size and small number—are immensely satisfying on many levels. Both Kinney and Morrow are graduates of Rice University, studying there in the late 1990s and early 2000s when it was headed by the Swedish polymath Lars Lerup, perhaps best known as a writer of marvelous essays that speculate in a simultaneously poetic and bemused fashion on the current state of the contemporary city. 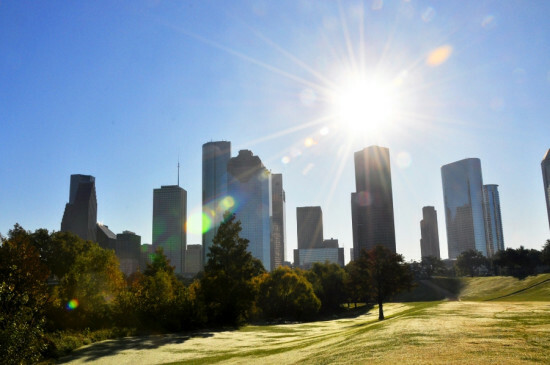 In 1994, Lerup described Houston in the essay Stim and Dross, (required reading for all Rice students at the time): “The European metropolis-without-crowds has skipped westward while radically transforming itself into a new creature: leaner, meaner, and more superficial, but harder to catch, at once simpler and less bearable to live in.” kinneymorrow, now about a dozen or so years out of school, is doing the hard work of turning such ideas into an architecture inflected by the experience of living in this ephemeral city and it is exciting to see. 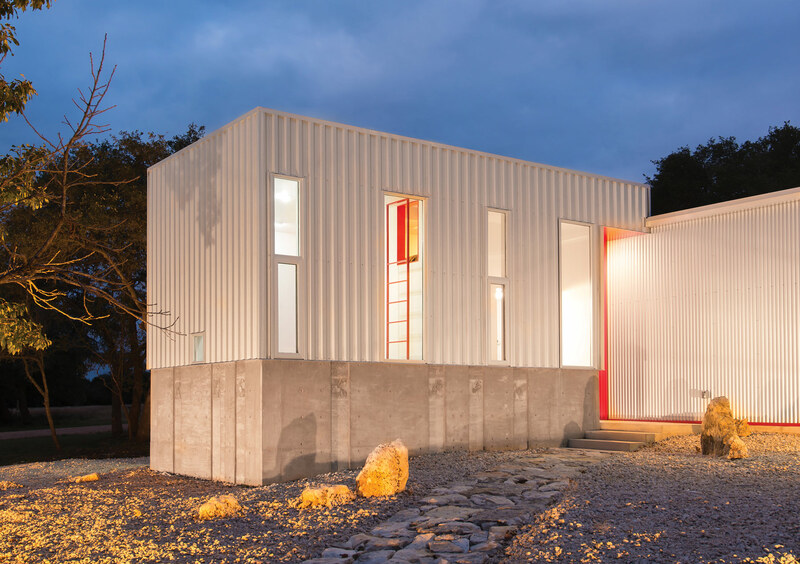 This support space for an artist’s studio was plugged into an existing prefabricated metal shed in a rustic outpost just west of Austin, Texas. It measures 12.5-feet-wide by 25-feet long and contains a small kitchen, bathroom, living area, and sleeping loft. The building is conceived as a didactic tool to explain the artist’s process as a printmaker. The site slopes to one side, necessitating a tall concrete foundation, which the architects extruded up an extra three feet past the level of the floor to form a structural wainscot around the inhabitable spaces. Into this concrete, they inserted a set of the artist’s wood blocks, corresponding to different colors and shapes used to make a single print. After the concrete cured, the blocks were removed and the relief images around the base of the building record the artistic process. The new building, with its taut, vertical proportions clad in corrugated metal siding, is a foil to the long, low shapes of the existing studio and its extension. The artist uses red as a signature in her prints and it appears sparingly as an accent in the otherwise all-white, concrete space. Here, Kinney and Morrow were commissioned to remodel a double shotgun house built in 1894 located in the Old Sixth Ward, a compact community in the shadow of downtown Houston that contains the largest collection of 19th century architecture in the city. Since the Old Sixth Ward is designated as a protected historic district, the exterior elevations of buildings cannot be altered. The architects, who also live and work in this neighborhood, focused their interventions on the interior instead. The existing long and narrow plan consisted of two rows of four interconnected rooms with no hallways. In the new plan, the service areas including kitchen, bathrooms, and closets are arranged along the western side of the house, thus retaining the longitudinal logic of the shotgun house, but adapting it to the desires of contemporary clients. The entire eastern side is left open for living and dining areas with three new sets of double French doors opening to a new outdoor deck and a new, giant seven-foot square window at its farthest reach that entices with a distant view of a pocket garden. Space is articulated with level changes and subtle variations in proportion, rather than with walls and doorways as in the former plan. To accommodate the larger dimension of these living areas and bedrooms, the architects simply extruded the shape of the existing house to the rear building line of the lot. For another project in the Old Sixth Ward, the architects negotiated the purchase of a 751-square-foot house built sometime in the 1880s—positively ancient by Houston standards—that was to be relocated from its original lot to make way for a new structure. Remarkably, Kinney and Morrow were only the house’s third owners. Its plan, a double shotgun, like that of the Decatur Street House consisted of two rows of three interconnected rooms. Through some investigative detective work and relying on a single photo of the house from the 1970s, they discovered that the center room along the western half of the house was originally a semi-enclosed porch. They restored it along with the missing front porch on the house’s street-facing, north elevation. 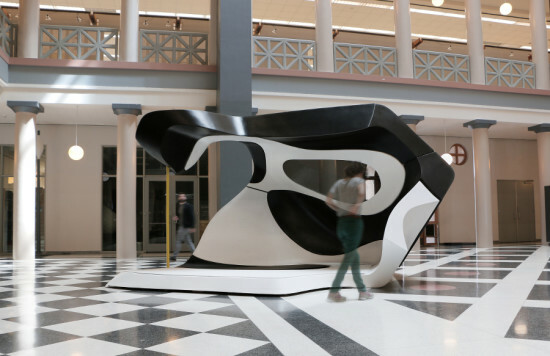 In the eastern three rooms, the configuration was left unaltered, and the architects chose to make a radical intervention by running a row of giant, black-stained plywood work desks through openings cut through the walls between the rooms. This unites the three rooms and also introduces an intriguing ambiguity in scale, proportion, and color inside the otherwise all-white studio work space. A second project in Sunset Heights revels in the small scale. The architects were commissioned to rework a diminutive 750-square-foot house built in 1890 as one of the original farmhouses on the tract before it was subdivided. The house, which is 22-feet-wide by 26-feet-long, is a miraculous survivor and the architects could not bear to see it get scrapped. Therefore, the design scheme was to use the existing house as the module and replicate it twice more to accommodate the new program of an increased number of bedrooms and a larger living area oriented to a majestic pecan tree in the back yard. The exterior of the old house with its hipped roof, waterfall siding, and bit of ginger-breaded porch will remain essentially untouched, while the new modules, connected by low, flat-roofed hyphens will retain the square plan and pyramidal roof—but will have modern, minimal detailing to indicate their place as successors to the originals. Barnett Newman: The Late Collection The Menil Collection 1533 Sul Ross Street, Houston, Texas Through August 2 The Late Collection pays homage to Barnett Newman, an artist who came to define the spiritual aspirations of American painting in the mid-20th century by deviating from traditional concepts of figure and foreground in search of an experience of the sublime. 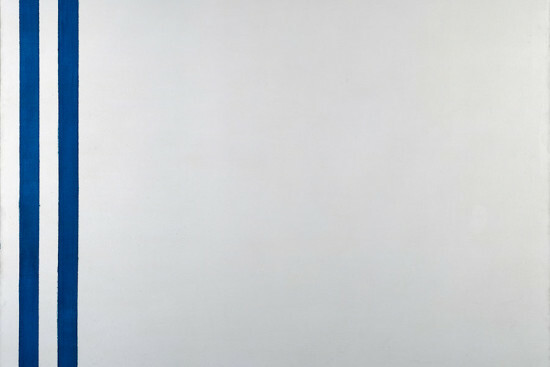 The exhibition charts the technical and material transformations of the twilight period of Newman’s career, including his transition from oil to acrylic paint. The artist passed at age 65, leaving behind finished and unfinished works, many of which lay bare the concepts underlying his broader production. Newman’s signature paintings are of large and bold vertical planes of color with upright lines that he called “zips.” Zips, he thought, would reach out to the viewer and lift them out of their torpor into a confrontation with eternity. 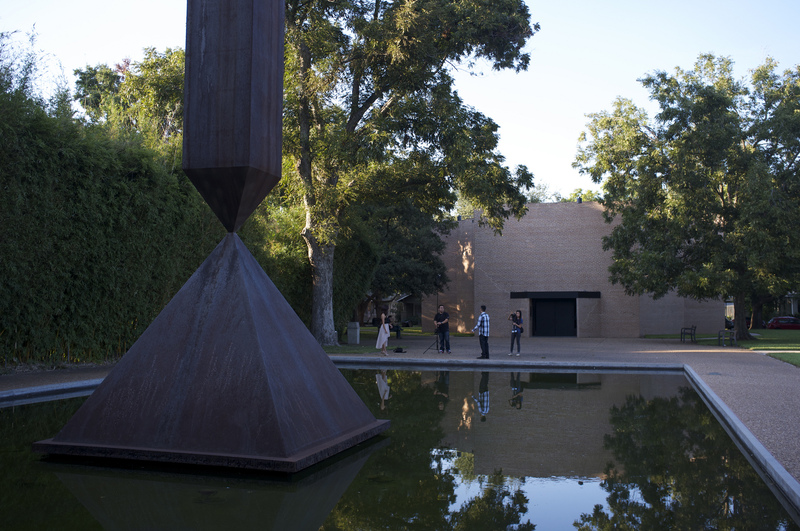 The exhibition also features major paintings made throughout Newman’s career from The Menil’s permanent collection. While visiting, also note that construction has begun on The Menil Drawing Institute, designed by Los Angeles architectural practice Johnston Marklee.